HRH the Duchess of Cambridge has co-designed her first garden for the Royal Horticultural Society (RHS) at the RHS Chelsea Flower Show 2019. For the past three months, The Duchess has been working in close collaboration with award-winning landscape architects Andrée Davies and Adam White PLI. The RHS Back to Nature Garden is a woodland setting for families and communities. It encourages people from all generations and backgrounds to connect with nature and enjoy growing plants for their health and wellbeing. 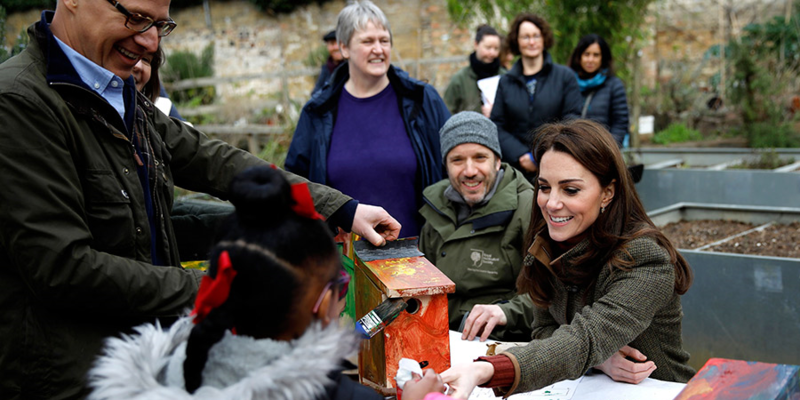 The garden’s chief inspiration is childhood memories that are triggered by the natural world – a passion for the Duchess. Read the RHS announcement in full. The RHS Back to Nature Garden will promote the physical and emotional wellbeing that access to green spaces and gardening provides. Helen Tranter, Vice President of the Landscape Institute said: ‘This is an important year for the Landscape Institute as we celebrate ninety years of the organisation which was actually formed at the RHS Chelsea Flower Show in 1929. ‘It is fitting that the work of Adam White (who also is our current LI President) and his business partner Andree Davies will be featured so prominently in our LI 90th year. They deserve praise for being selected to play a part in this project by the RHS and their partners. 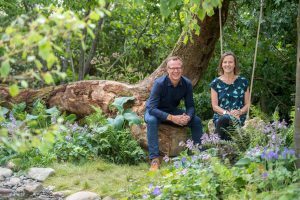 ‘What is also important is the prominence the RHS Back to Nature Garden gives to the improved health and wellbeing that we can all get from nature. As an organisation supporting and promoting the benefits of the landscape profession, we are particularly pleased that the RHS’s partnership with NHS England, promoting the physical and emotional well-being that access to green spaces and gardening provides, is at the heart of this project. Adam and Andrée will continue to collaborate with the Duchess and the RHS throughout 2019. 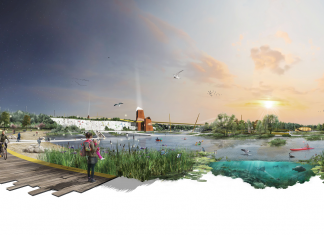 In addition to the Back to Nature Garden, they will create a child-friendly garden at RHS Hampton Court Palace Flower Show, a therapeutic garden at an NHS Trust, and a permanent garden for children at RHS Wisley. The RHS Chelsea Flower Show takes place on 21-25 May 2019. Tickets are now available at www.rhs.org.uk/shows.